Gasoline inventories, measured by the days of demand they will cover, are at the lowest level in two decades for this time of year because of refinery fires, power failures and maintenance work oil companies failed to complete in 2006. No new U.S. refinery has been built in three decades, increasing the strain on existing plants. Peter Beutel, an analyst at Cameron Hanover, Inc. thinks prices could threaten the $4/gallon mark if we have an active hurricane season. And we’re talking about a legitimate $4/gallon this time around, not a scam like they were running in Orlando. 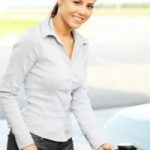 Fuel Surcharges – Still? Seriously? I don’t know about your state but a large part of the cost of gas is local taxes. That’s right – gasoline prices are shooting up! And guess what? Oil companies are saying it’s going to be another year of record profits! That part about refinery supply being tight makes me want to scream. The big five oil companies own 60% of U.S. refinery capacity. Since 1995, refinery capacity has shrunk by 970,000 barrels of oil per day and 97% of that loss was from small, independent refiners. When was the last time a refinery was built? In my opinion, gas prices are high because big oil is withholding supply. High gas prices reward those who choose to limit their driving. This is an incredible incentive for those who wish to save money as well as conserve our planet’s precious resources. An environmentally-oriented research group did a study on this a few years back. IIRC gas would have to rise to >$5 gallon (in 2005 dollars) for structural changes to become politically feasible. The downside of capital markets is that they are mostly nearsighted. adjusted for inflation, gas prices aren’t that high and given the current tightness in the market they should be much higher. The only way for true change to happen and for the country to lessen our “addiction to oil” is for the price to continue to increase so that alternatives become economically justifiable. Things need to and will change, it is just a question of when and how bad will it hurt. Short term there is a strong relationship between the spot unleaded gasoline price at Nymex and the retail price at the pump – strong enough for me to model it successfully and make 3 day predictions about gas prices. It won’t save you 5 cents but on average by varying WHEN to buy gas within any 3 period you save 2 cents/gallon according to me. Not a lot I know but money matters. Besides its a way of “doing something about it”. David, that’s what happened last year, and as soon as they went back down everybody forgot what they were thinking about. The only net change was that we were now used to spending about 50 cents to a dollar more before we’d start thinking about complaining about it. Yeah, I posted that this morning. See here. I heard on the news this morning that gas is $4/gallon in a spot in Florida (can’t remember exactly where). While I will moan occasionally about the prices, when gas prices go up good things can happen from it. It forces us to be more innovative/resourceful to keep money in our wallets.